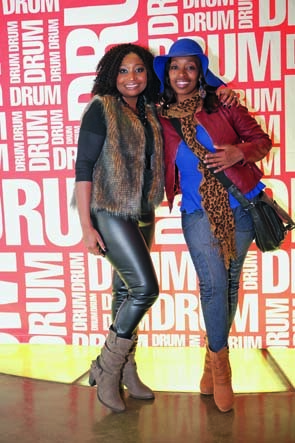 Thousands of people braved the chilly weather for the fourth installment of DRUM Beat! Thousands of people braved the chilly weather for the fourth installment of DRUM Beat, where celebrities came out to play and were unanimous in their high praise of how the event is embracing black talent. Muvhango actor GABRIEL TEMUDZANI, who came with his beautiful wife REFILWE, was attending the event for the first time and admitted he loved the atmosphere filled with the spirit of unity. “It’s truly such an amazing experience,” he said. Earlier on, Gabriel and his wife sang along and danced to music legend Oliver Mtukudzi’s tunes. “He reminded me that you don’t have to know the language to love the music,” said an awed Gabriel.